In a Facebook live session of 11 minutes, Bhagwant Mann is seen seeking financial help to defeat "rich politicians" contesting against him. Aam Aadmi Party lawmaker and state president Bhagwant Mann took to social media and appealed the voters to donate for his Lok Sabha election campaign. In a Facebook live session of 11 minutes, Mr Mann is seen seeking financial help to defeat "rich politicians" contesting against him. Asking for one-tenth of people's income as donation to the AAP, the Sangrur lawmaker urged people to help his campaign. He asked the people to donate any amount from Rs 1 to Rs 1000. "I need your financial support to run my election campaign, so please contribute one-tenth of your income so that we can fight these parliamentary elections. Please contribute so that good people can fight the elections,'' he said. Mr Mann also shared his Paytm and Google Pay details, promising that he will share the details of entire donation amount. "When the money reaches me, I will tell you that it has been deposited in such and such account... and will give you the full account of where the money has been spent,'' he says. He said he needed the money to get posters printed and to meet other campaign expenses. Seeking a re-election from his constituency, Mr Mann also took a dig at other politicians saying he does not have "black money" like them. "When I receive the required money, I will upload another video telling you to stop sending it. I will be happy to contest the election with your money. I do not have any black money like other politicians and need your immediate financial support," he said. After a series of exits from the party's Punjab unit and rebel leaders launching their outfit, the party's NRI support has eroded affecting the public donation as well. 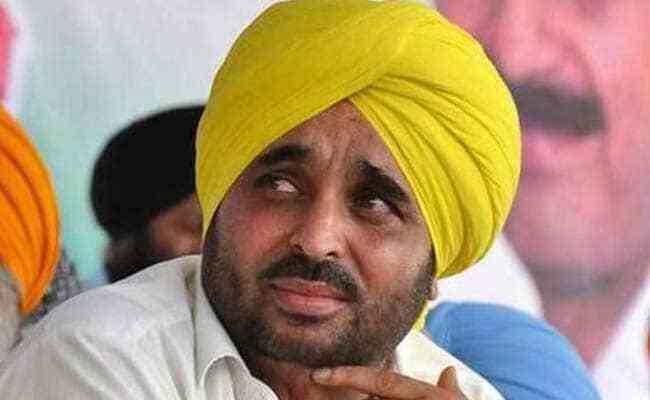 Bhagwant Mann on January 30 took over as President of the Punjab unit of the Aam Aadmi Party.